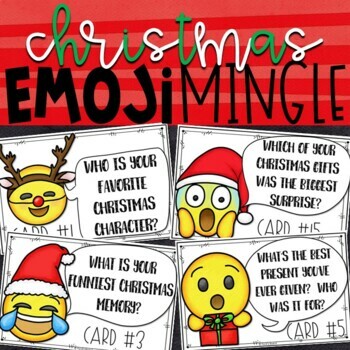 This is an emoji Christmas “Get to Know You” activity that will get your students moving, sharing, and building excitement for Christmas! There are 16 numbered task cards for placing around the classroom (on walls, cabinets, doors, etc.). 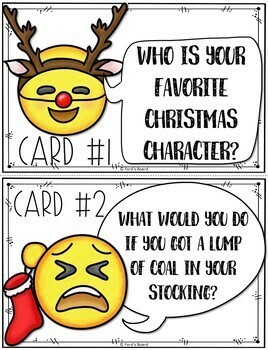 Each card contains a question. 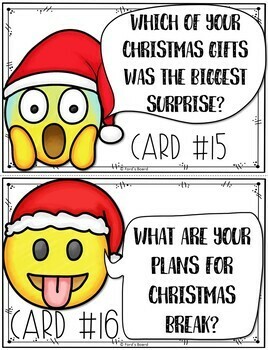 There are two options for the activity. The first is the “mingle” option and requires students to pair up with a partner. Students walk quietly around the room, reading questions with their partner and recording their partner’s answers on a recording sheet (included). The second option is the “move it” option in which students quietly walk around, read questions, and record their own answers on a recording sheet (included). Afterwards is a great time to share in small groups or as a class. 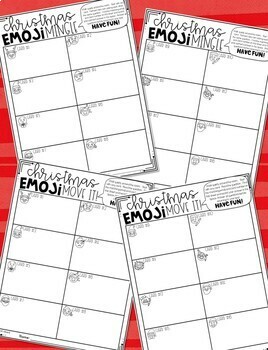 Students may share fun information learned about their classmates or about themselves!